Vegas was an op the likes of which has never been seen before in the USA. and the patriots camouflaged as a lone wolf–another white guy who snapped. This is the ONLY way that the CIA spooks could have plausible deniability. 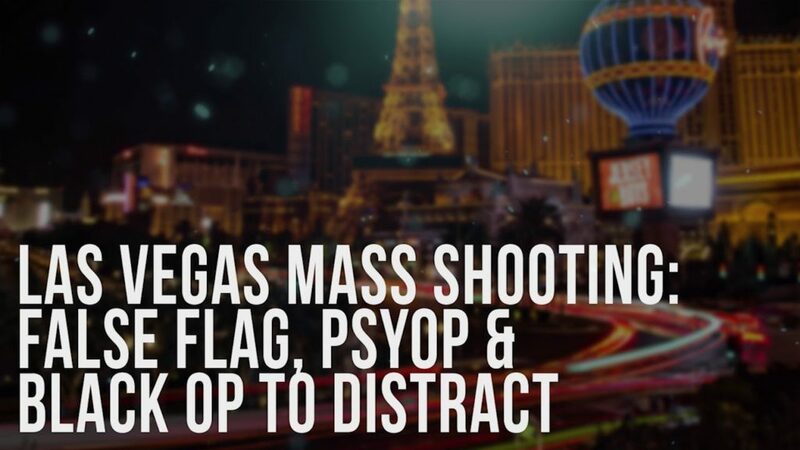 It is extremely important that the Las Vegas mass shooting be called exactly what it is: a false flag terrorist attack carried out as a highly organized black operation by the U.S. Intelligence Community in concert with the Great Britain’s MI6 and Israel’s MOSSAD. All of the evidence points to the fact that patsy Stephen C. Paddock probably had nothing whatsoever to do with this mass casualty incident (MCI). On the other hand, the rapidly growing body of hard evidence clearly reflects an extremely well-coordinated false flag operation conducted by all the usual suspects. The volumes of circumstantial evidence available thus far indicate the following government agencies and organizations had to be directly involved in the massive ensuing coverup. 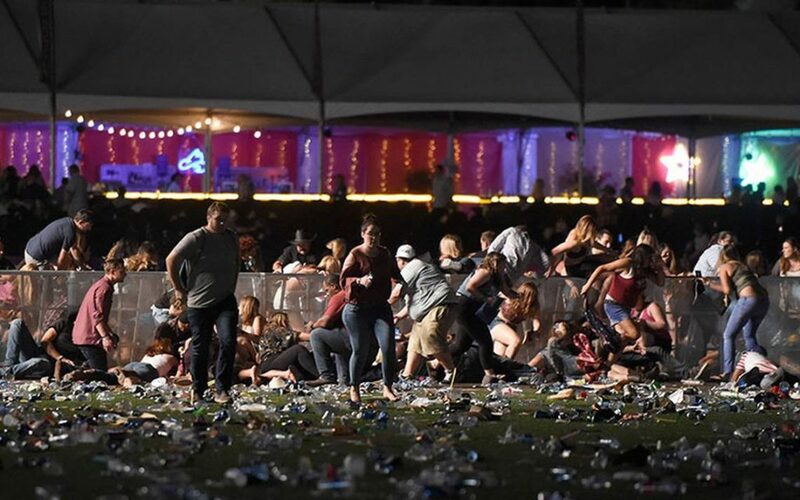 Because each of these law enforcement agencies continues to participate in the ongoing cover-up, it is certain that each had foreknowledge of this mass shooting on Sunday, October 1 at the Harvest Country Music Festival. The complete lack of police response by the local LVMPD is quite telling, as is the lack of emergency medical personnel at the scene of the attack. As usual, the C.I.A. would have had operational responsibility for overseeing the implementation plan. 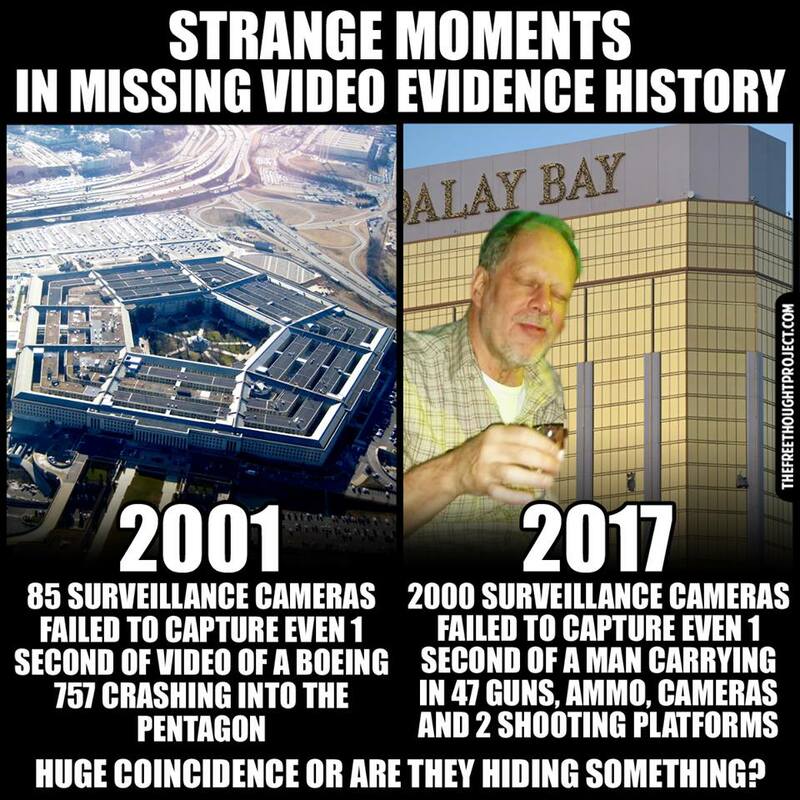 What Happens In Vegas, Stays With The CIA? It is essential to properly understand the true context in which this multi-purposeful terrorist attack was perpetrated. That would be the Harvest Country Music Festival in Las Vegas, Nevada, also known as Sin City. It is an indisputable fact that Las Vegas was, is, and will be forever the most locked down city in the USA. The city has been set up over many years as a miniature national security state. The obvious reason is that Sin City thrives on massive revenue streams of gambling receipts. It’s the only reason why the city of Las Vegas is still there, especially given the lack of reliable water supplies…in what is basically the dessert. It’s not just the gambling income earned by the many casinos, it is also all the criminal enterprises which have grown up around the Gambling Industry over decades. Illicit businesses such as the Mafia’s high-end prostitution services, mob-run loan sharking and CIA-overseen drug dealing also provide enormous revenues. However, it is arms trafficking (as in major illegal weapon deals) and gun-running (smaller arms deals) which generate a HUGE percentage of their unlawful profits always under the table. Perhaps the most significant reason why Vegas is so locked down 24/7 is because of the immense amount of money laundering that goes on in every casino. The sheer volume of drug money alone — in the form of cash — requiring laundering is inconceivable. After drug-trafficking, there are all the other criminal enterprises that converge in Sin City that generate steady streams of cash which must be laundered. This normal state of affairs necessitates it own city-wide security apparatus that deeply involves the FEDs at every level. KEY POINT: The house always wins in Vegas; it never loses. Do you think these massive casino operations would not take advantage of bugging every single room in order to preclude a hit or a super-savant whose high gambling winnings are increasing daily? 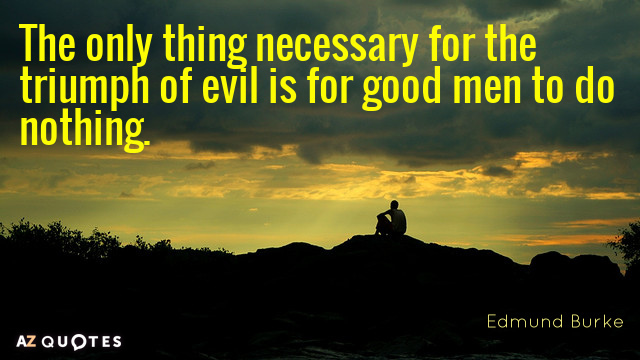 Hence, there’s not a single square inch of Sin City that is not totally wired by Satan himself. The Gambling Industry does not tolerate big winners in Vegas—EVER! Even when you think you’ve won, you haven’t! The critical point here is that no one enters the greater Las Vegas metropolitan area without being subjected to extreme monitoring and surveillance. And the closer you get to the LV Strip, the more closely you are watched and listened to. In fact, the Nevada gaming area “earns roughly 50% of the gaming revenue from all sources for the state of Nevada”. Therefore, the only logical conclusion is that the FEDs know exactly who is responsible for the actual shooting in front of the Mandalay Bay. When you add up all the spying and surveillance capability utilized in Vegas by the intel agencies, it becomes obvious that the U.S. Intelligence Community provided direct material and moral support to the execution of this black op. There should be no question about this whatsoever. CASE CLOSED! Photo of the Mandalay Bay the day after the shooting showing a number of windows blown out by gunfire or broken to fire weapons through. There is a large body of evidence which proves that there were multiple shooters surrounding the music venue. 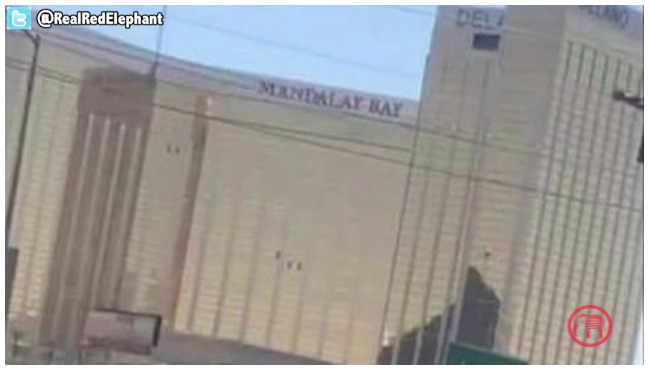 Not only that, the likelihood that this massacre was performed by one person is preposterous on the face of it, and even more absurd when you understand how far the Mandalay really is from the concert venue. Simply put, the official narrative now stands as the single most ridiculous conspiracy theory ever concocted by the U.S. Federal Government … after the 9/11 Commission Report, of course. And they know it. But there are very specific reasons why they promote a ludicrous story replete with utter falsehoods (See the references below). There are now many factual statements which can be asserted categorically about this “domestic terrorist attack”. Each one of these data points, when thrown up on the radar screen is vital to understanding this unparalleled psyop. When those dots are then connected, an unambiguous picture of the culprits takes shape which looks just like you know who. As always, Occam’s razor can be applied to cut through all the deliberately produced noise of distraction, diversion and misdirection. As for the initial crime spree that was required to set up the crime scene and commit the mass murder, those details are almost impossible to accurately tease out. So we must wait for a brave insider to leak the info, or an even more courageous whistleblower to blow the lid off this extremely complex criminal conspiracy. Nonetheless, it matters not who actually committed these heinous crimes because they’re probably dead and buried by now. Nor does it really matter precisely how these crimes were carried out. In other words, what really does matter is who ordered the attacks; and why. One thing can be concluded with absolute certainty: the prematurely identified gunman — Stephen Craig Paddock — had nothing to do with the shooting spree. Was he involved in other sleazy aspects of the low-level criminal wave? Yes, he probably was. But like Lee Harvey Oswald, he probably didn’t even know what would go down on that Sunday evening. Was Vegas an FBI Sting Gone Bad? For that matter, we don’t even know if we’re dealing with the right Stephen Craig Paddock. Will the real Stephen C. Paddock please stand up? Approaching this capital crime with Occam’s razor tells us that whoever is responsible for diligently covering up this terrorist attack is also the one who ordered it. How can it be otherwise? Not only that, but the real perpetrators at the top had so much control over the crime scene — before, during and after the slaughter — that they must reside at the peak of the pinnacle of the pyramid of the shadow government. Which brings us to the motive. Whenever a false flag operation is functioning as a national psyop, there are numerous purposes, and sometimes cross-purposes, at work. This particular black op is so full of holes from the get-go that it’s obvious what one of the primary intentions was to——–>to D I S T R A C T. And majorly so! All of these dramatic mass casualty incidents (MCI) are timed to distract the American people from much more important business and perfidious plots. The subtle qualification of “multi-level” is extremely important to apprehend in the context of any false flag operation. Not only are there multiple levels of execution by various black budgeted agencies, there are various unseen objectives which are being accomplished simultaneously. This is where a PTSD-triggering event like the Las Vegas massacre gets very complicated and convoluted. Let’s begin at the very top of the most urgent items on their New World Order agenda. With each passing day it becomes more apparent that the Las Vegas mass shooting was a premeditated attack by the globalists on the nationalists. It ought to be crystal clear by now that this extremely calculated military assault was designed in such a way so as to elude detection. The NWO cabal has had a very difficult time launching their planned Purple Revolution across America. George Soros has been universally castigated as Public Enemy #1. His many seditious NGOs have been outed as subversive organizations. The Obama-led purple revolutionaries have been exposed as the traitors that they truly are. And this Clinton-inaugurated civil war has been sufficiently revealed that it has lost many purple revolutionaries. Likewise, the other Democratic leaders such as Nancy Pelosi, Chuck Schumer, Maxine Waters, Adam Schiff, John Podesta, Kamala Harris et al. have all exposed themselves to be stone-cold crazymakers. Hence, the Purple Revolution has been halted for the time being, even though it was supposed to begin in earnest on November 4th. Even more poignantly, AntiFa has shown itself to be a full-blown domestic terrorist organization that operates with the full support of the Communist Party. Evidence has also surfaced that irrefutably proves that AntiFa has ties to the Middle East. Likewise, Black Lives Matter has greatly faded into the background when it, too, duplicated many of the same terror tactics as ISIS during their many violent protests. Other Soros-sponsored organizations, which have participated in deadly riots since Trump’s election, have also been outed. With this understanding it ought to be easy to grasp that Las Vegas is the stealthy way in which war will be waged on the patriot movement by the globalists. By and large, the attendees at the HARVEST were Trumpsters. These folks are the salt of the earth and really care about the future, and the territorial integrity, of the American Republic. The many nationalists who showed up at the HARVEST did not know they would be used for target practice by the globalists, BUT THEY WERE. Herein lies the very crux of Las Vegas mass shooting. It was a cowardly act of war by the NWO globalist cabal against the Trump movement. Therefore, it’s imperative for every patriot to comprehend the enormity and profundity of this historic event. Yes, TPTB have been killing us for years. 9/11 was another obvious yet disguised act of war against the American people. However, Las Vegas is different; they’re really going after the patriots—BIG time! And more innocent people than ever are being randomly killed at mass casualty events like Las Vegas. In the wake of Las Vegas there have been many articles throughout the mainstream media (MSM) which have delineated plans to further intensify the spying tactics and surveillance technologies that define the National Security State. This was one of the primary reasons for this deadly terror attack. The more who are killed and/or wounded, the more easily Congress can be cowed into approving even more draconian measures via unconstitutional legislation which takes away fundamental rights and liberties. Hillary Clinton has predictably called for more gun control after she blamed the NRA for the Vegas mass shooting. Hillary Clinton Blames Las Vegas Attack on NRA As if on cue, the whole Democratic side of the political aisle is now calling for immediate gun control legislation. Obviously, this is one “crisis that the DEMs will not let go to waste”. The utter gravity of Las Vegas is such that it has already provided an impetus for the beginning of the end of the Second Amendment—for real! Listen up, patriots. This mass shooting was fastidiously engineered to bust every U.S. citizen upside the head with a four by four. That 4X4 was the rapid-fire “gatling gun” used by various shooters who shot up the HARVEST. Every American has now been infected with their own version of vicarious PTSD. Hearing machine guns firing at a group of concert-goers was at once shocking and earth-shattering. And its effect will be used to the max to impose a repressive regime that will ultimately take away freedom of speech and gun ownership, unless the patriots take back their power—NOW! It doesn’t get more serious than this. Sometimes Deep State surreptitiously stacks up multiple ops only to use the most provocative ones to lead the audience astray. The inclusion of covert arms dealer Stephen Paddock within this whole narrative appears to be a Fast & Furious, take two. The fact is that these patently illegal arms deals are going on 24/7 across the country, and Las Vegas is the nerve center. The key point is that the different settings of illicit transactions can easily be used as the context within which to stage a false flag within a false flag…just like they did in Vegas. This is where it can get very interesting because when the decision-makers engineer these events, they will sometimes hook up the “false flag within a flag” with a transparent hoax. This is how the American public is easily deceived about the real intention behind such a flagrant psyop as this one. Just what is the true purpose of this psyop? Now we come to the very heart of this “Special Report”—the PsyOp. For the uninitiated, the psyop piece of such covert agendas often takes place in a realm of influence that is well outside of normal mundane affairs. This component can only be understood when viewed through the lens of occult astrology, cabalistic numerology and talmudic freemasonry. To give an adequate treatment of this exceedingly profound aspect of the “Mandalay Massacre” is well beyond the scope of this report, however. What can be said about the precise planning that goes into these highly consequential social engineering programs is that the particular event, the exact location, and the specific timing are all chosen to have maximum effect. In other words, Sunday night, October 1, 2017, in front of the lit up all-seeing eye atop the Luxor pyramid, were all integral to carrying a successful psyop. This type of abstruse prep work, incidentally, is more fundamental than the positioning of the snipers because of what the Illuminati planners are really looking to accomplish. There are two articles which only crack the window of understanding where it concerns these deep, dark intentions. The first one below offers a glimpse into the occult symbolism and barbaric ritual which surrounds the HARVEST sacrifice. The second article discloses some radioactive data points which illustrate how the Music Industry is tied directly into these psyops. While this information is more speculative in nature, the uncanny way in which so many inexplicable pieces fit in this conspiratorial puzzle can only mean one thing. Nevertheless, many folks will likely be challenged by this sordid angle, but it must be confronted sooner or later. 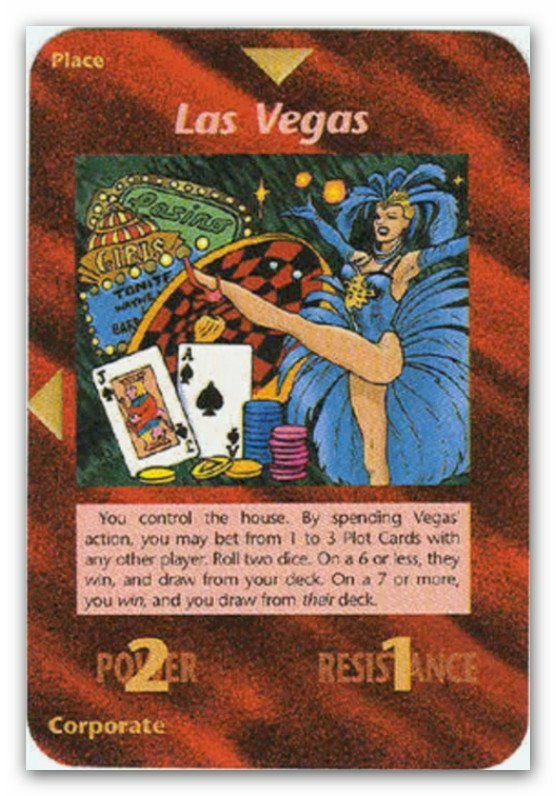 STUNNING DISCLOSURE ABOUT LAS VEGAS PSYOP—The Jason Aldean tattoo and the Illuminati game card! All false flag operations are well known for the many press accounts that read and look like they were written days before the atrocity. That’s so the fictionlized media reports can be swiftly disseminated before the crime scene is even investigated. In this fashion, the patently false (and often implausible) narrative is quickly and deeply imprinted on the collective American psyche. Deep State surely has a special department at The Company (also known as CIA headquarters in Langley, Virginia) dedicated solely to the fabrication of fake news that is used in the aftermath of these incessant false flags. Here’s a ‘very nice’ graphic that shows the viewer exactly how the alleged gunman pulled off what was essentially an impossible feat of mass murder. Especially for a 64-year-old out-of-shape alcohol-drinking gambler, such an endeavor would be inconceivable. But the MSM swears that Stephen Paddock did it all by himself. The main reason for this report was to alert the American people that a civil war has been started by the New Age Bolsheviks. The unhinged and godless Left, funded by Soros and supported by Deep State, has fired the first shot(s). The good souls murdered in cold blood at the HARVEST were unwitting martyrs to the cause of national sovereignty. They were felled by a devious type of warfare whereby the victims didn’t even know they were on a battlefield. Do you get it? This asymmetric type of combat is as dastardly as it comes. Women and children, elderly and disabled are cut down in their places not even knowing they were just invaded. This is the only way forward for these purple revolutionaries since their AntiFa insurrection was short-circuited. Now, however, their clandestine insurgency will be conducted by surprise, wherever and whenever they feel they can get away with mass homicide. They almost succeeded in Las Vegas. More than anything else this pre-planned terror attack in Vegas was executed as a warning to President Donald Trump. All the details of this black operation were fastidiously pieced together to have maximum effect on the prez…and his movement. TPTB know full well that the best way to get to Trump is to get to those who he cares about. That’s why you never touch his family unless you are ready for an overwhelming retaliation. Likewise, if you go after the patriot movement that put Trump into office, be ready for some very serious blowback. What we’re really dealing with in Las Vegas is the mob at its worst. Deep State actually owns and operates the M A F I A, not the other way around. And the shadow government completely controls Deep State which has become Trump’s nemesis. The key point here is that TPTB know exactly how to get to Trump. They know what buttons to push to compel him to implement the NWO agenda which he staunchly opposes. It was only a matter of time that a C&W music venue was shot up or bombed, because these folks represent the very heart of Trump movement. Even if Trump stops being Trump, the movement will carry on stronger than ever. Deep State knows that and used the terror attack to intimidate the patriots. But Deep State really did Vegas to give Trump his final warning before they execute plan B. There are several goals which were on the NWO agenda where it concerns this tragic massacre of concert-goers in Las Vegas. The advancement of the globalist-incited Purple Revolution is also high up on the agenda. In an effort to remove Donald Trump from the White House, the Left will do whatever is necessary, including the advocacy of unprecedented violence and mayhem. Armed with this knowledge, the American people are obligated to take back the nation from those who have arrogated such unlawful power unto themselves. We the People must also retrieve the trillions stolen from the treasury from those who continue to steal our national wealth. If the ruthless slaughter at the HARVEST does not sufficiently galvanize the patriot movement to take back their power, what in God’s creation will? Especially after the very same criminally insane psychopaths have gotten away with 9/11, it would seem that their time has finally come. YouTuber Perfectly PREDICTS Las Vegas 2 Weeks BEFORE the Incident! Las Vegas Shooting: Who or what is moving on the roof above word “HARVEST”? 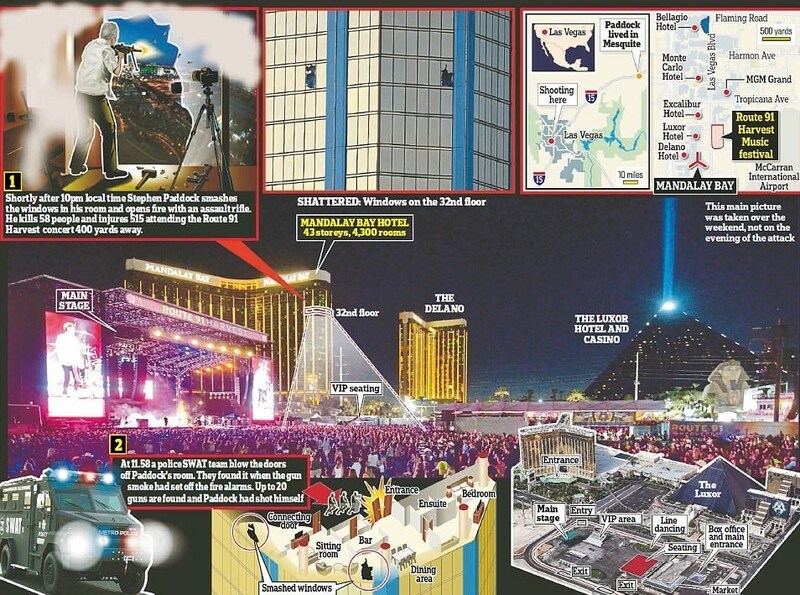 Insider’s report on how the HARVEST crime scene investigation was immediately taken over by the FBI whereupon Stephen Paddock was asserted to be a lone gunman.